A month-long international campaign of events and initiative to raise the profile of the condition. Teams of five can register to participate in a chicken wing-eating contest, where all money raised is to benefit Parkinson’s Canada. 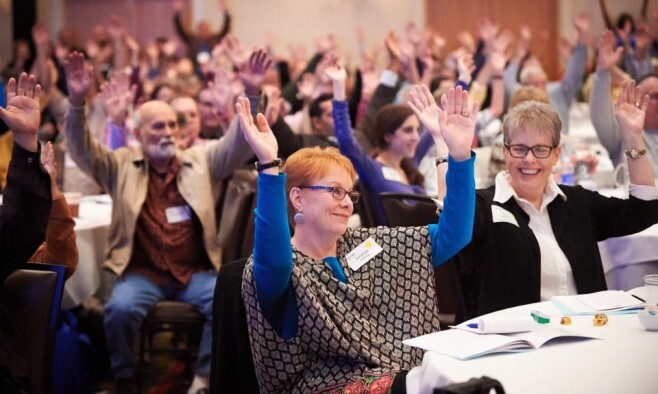 Join Dr Roger Barker and experts as they chair a panel discussion on how to make informed decisions regarding the growing number of choices in Parkinson’s treatments. Learn more about the potential of gene and cell therapies by joining a one-hour online seminar led by the PDF and Dr Roger Barker, professor of clinical neuroscience and honorary consultant in neurology at the University of Cambridge and Addenbrooke’s Hospital. Professors John Hardy and Kailash Bhatia curate a two-day programme at the University College London Institute of Neurology. Topics include: Mendelian genes for parkinsonism and their phenotypes, genetics of dystonia syndromes and genome wide association studies in Parkinson’s disease. Join the world’s largest gathering of neurologists at the seven-day conference series in Vancouver. Browse the latest products in the exhibition centre or join the Industry Roundtable (IRT) to share resources with the international neurology community. Plymouth and East Caradon Younger Person’s Support host an event for the newly diagnosed. There will be two discussion sessions and time to relax, with taster sessions of alternative therapies such as reflexology and Indian head massage. The School of Allied Health Professionals hosts a course on the symptoms and diagnosis of Parkinson’s disease and the relevance of therapeutic exercise. Join thousands of Parkinson’s disease supporters for a gentle 1.4 mile walk in Central Park. All donations will go to Parkinson’s disease research funded by seven major US Parkinson’s foundations. Follow the event on social media via the hashtag #puw2016. Stop by the Bellevue gym for a special women’s-only introduction to Rock Steady Boxing’s programme for people with Parkinson’s. Join the Davis Phinney Foundation for their national educational event day, featuring presentations from leading movement disorder neurologists and therapists from across Canada and the US. Learn how to be more involved in your own treatment and to improve your quality of life. The event includes a free complimentary lunch.